[F]eel as he reads this book that there is something wrong somewhere. The Latin is extremely faulty and yet it quite unlike any other bad Latin. The writer can quote Fortunatus, yet he seems uncertain about the most elementary rules of grammar. He can produce abstruse quotations from the Bible, and yet exhibit peculiar ignorance about what the Bible says. He has an impressive vocabulary of rare words, and yet constantly selects the wrong word for what he is apparently trying to say. What he does say is often extremely ridiculous… In fact, and contrary to all these theories, the book was not put together to convey any moral, religious or political message whatever (apart from being, with mild doses of irreverence, in accordance with the standard doctrines of the Church). Its purpose is to teach boys Latin and music. Once this realization has dawned . . . everything suddenly falls into place. Back in 2011 the theft made for considerable headlines after it was taken from a safe. Though there were a number of CCTV cameras in the cathedral, none was aimed at the safe, and at the time officials suspected an insider theft. And that appears to have been the case. The disgruntled Castiñeiras was terminated from his job as an electrician at the cathedral in 2011, and was suing the church for a wrongful dismissal. In 2012 the Codex, and a number of other missing historical books and documents were found in his garage. 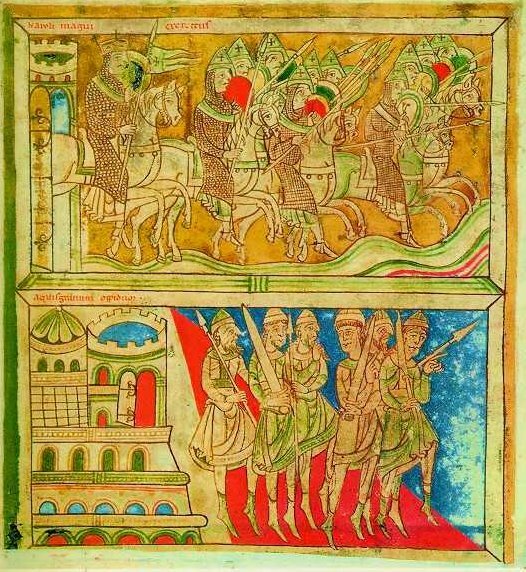 Given the fame of the Codex, and the ubiquity of the images from the text, selling the Codex would have been impossible. The only motive appears to have been revenge. One interesting aspect of the trial may be how many of the lesser books and documents Castiñeiras stole, and how many may still be missing. It is likely those would have been extremely salable. Prosecutors are now seeking a reported 15-year jail term and a €300,000 fine. Christopher Hohler, A Note on Jacobus, 35 J. of the Warburg & Courtauld Institutes 31, 32-33 (1972). Ashifa Kassam in Madrid, Trial over Theft of Codex Calixtinus Begins in Spain, the Guardian. Ediciones El País, “Codex Calixtinus”: 60 testigos para tres semanas de juicio, EL PAÍS (Jan. 18, 2015).